If you have ever dreamed about changing the look of your smile, the team at Dentist Melbourne can help you. Our full suite of services includes cosmetic dentistry, which can alter the appearance of your teeth and help you love to show off your smile. A great cosmetic smile is one one where people compliment you on how good you look but can’t tell you have had work on your teeth. In other words, the smile has to be natural and beautiful and look as if has always been part of you. You don’t want an artificial look. Our team does our best to ensure there are no surprises when it comes to the cost of your care with us. We’ll explain everything that you treatment involves and answer any questions that you might have during a consultation. Because each case is unique, it’s difficult to know how much your care will cost until we’re able to take a look at your smile. Can my treatment be completed same day? Some cosmetic treatments, like teeth whitening, are able to be completed same day in our practice. Others, like smile makeovers and implants, require multiple visits to ensure your smile turns out perfectly. Rest assured, we’ll proceed swiftly and effectively to bring you the smile of your dreams in a timely fashion. How will I know which cosmetic treatment is right for me? 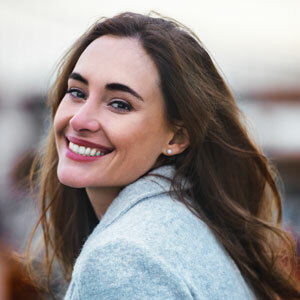 During your initial appointment with us, our Toorak dentists will be able to look at your smile and speak with you about your unique concerns. We’ll make our own recommendations as we listen to your goals and desired outcomes. Then, we’ll discuss the best treatment or treatments for your specific case. If you’d like to move forward, we can often begin the process that very same day. Contact our friendly staff today to learn more about achieving the smile you’ve always wanted! We provide payment plans with 0% financing so that you can get the dental care you need.